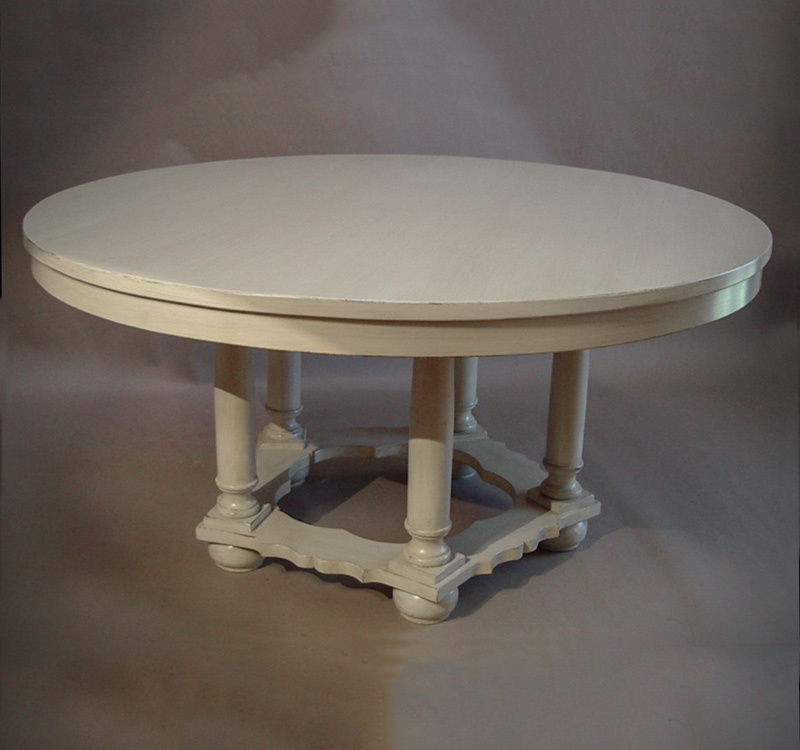 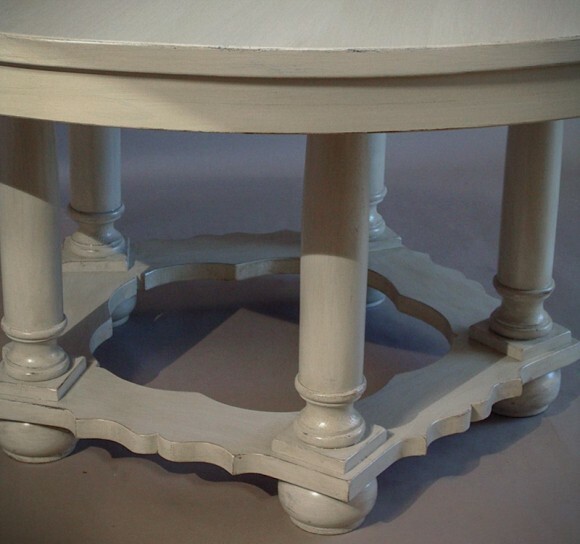 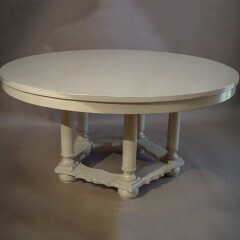 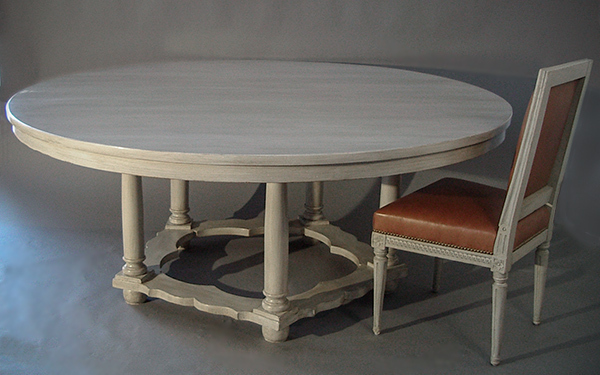 This table is one of a pair made to a client’s specifications and is 72″ in diameter! The unusual pentagonal base has hand-turned columns and shaped stretchers. 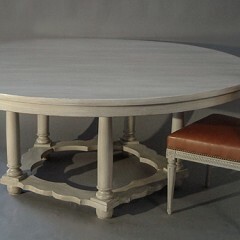 The finish was created to match a set of period Gustavian dining chairs. 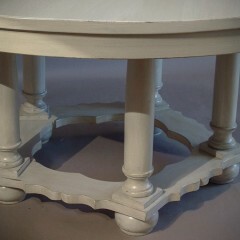 As you can see, anything in possible.